Browse over 65 traditional & modern house plans. Determine the best floor plan to suit your specific needs with this comprehensive home design brochue. With designs ranging from 2 - 6 bedrooms and a variety of both traditional and modern house plans, you're sure to find something you love. 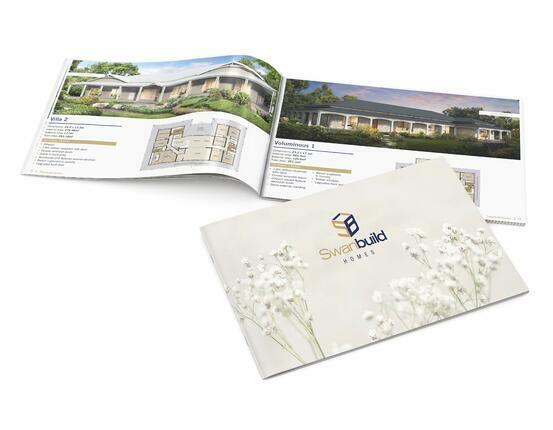 Complete the form to receive your copy of our Modular Homes brochure. With over 30 years’ experience in home design and construction, you can be sure you’re in great hands. Every Swanbuild home can be completely customised to suit your specific requirements at no extra cost. Move in sooner - our unmatched timeframes mean you can build your dream home in as little as 15-20 weeks.